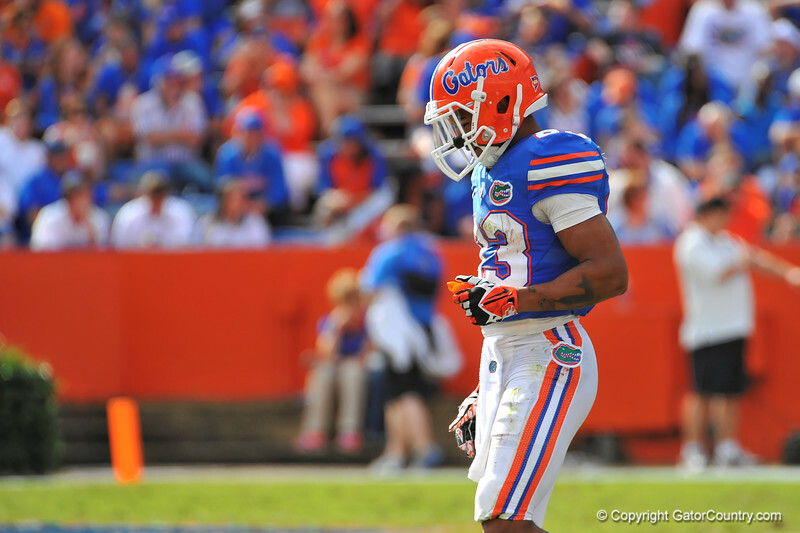 Florida Gator WR Solomon Patton walks downfield to receive the kickoff following the Vanderbilt touchdown. Florida Gators vs Vanderbilt Commodores. Gainesville, FL. November 9, 2013.